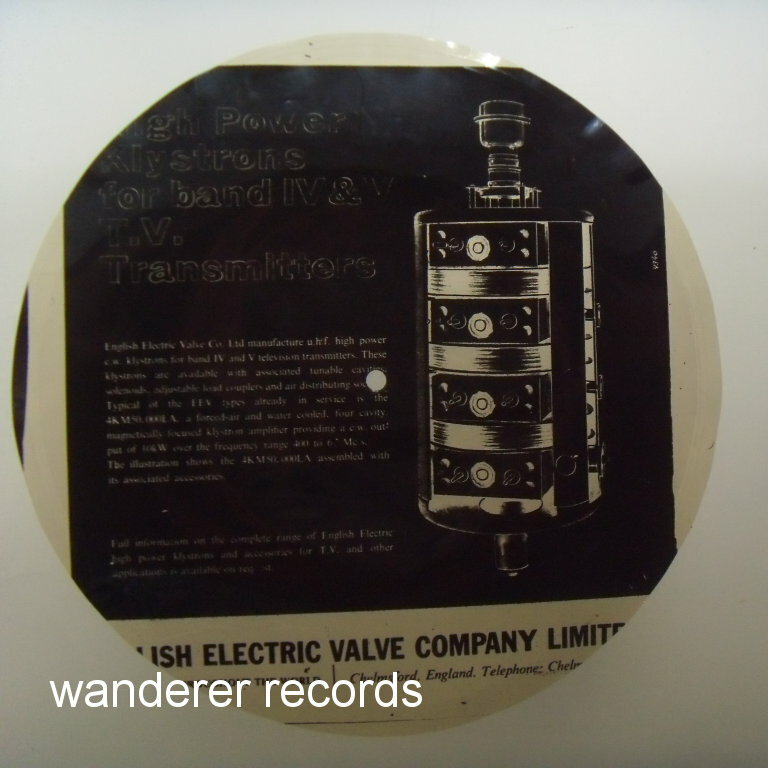 VG Original late 1950s or early roentgen film record with rare kind of tech image - English Electric valve Company klystrons sheet. 9 inches, 78 rpm. Two songs (and beginning of 3rd) are recorded.